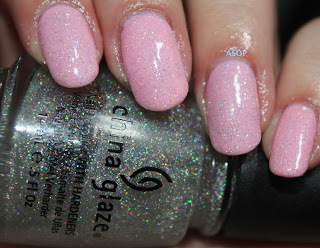 I think they're really pretty and they sparkle every time they hit the light which is always a plus. 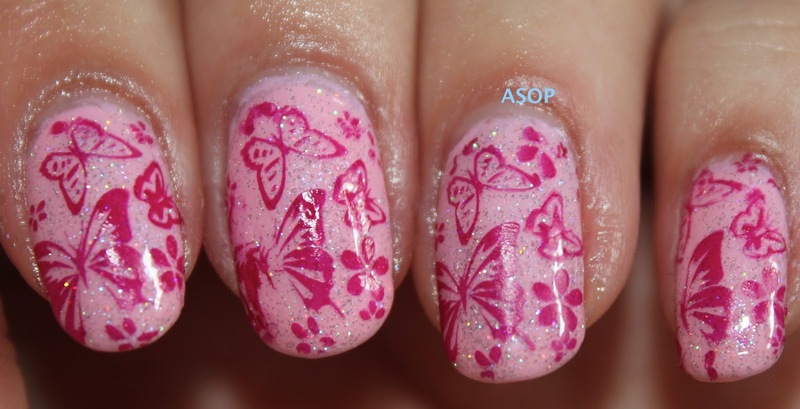 I attempted a pink version but mine look like such a fail in comparison! 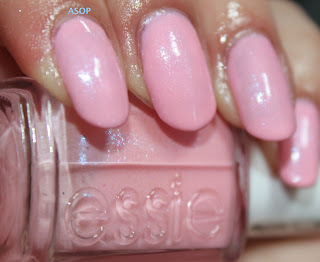 My base was Essie's 'We're in it Together' which I got for £1.99 from Fragrance Direct, total bargain! 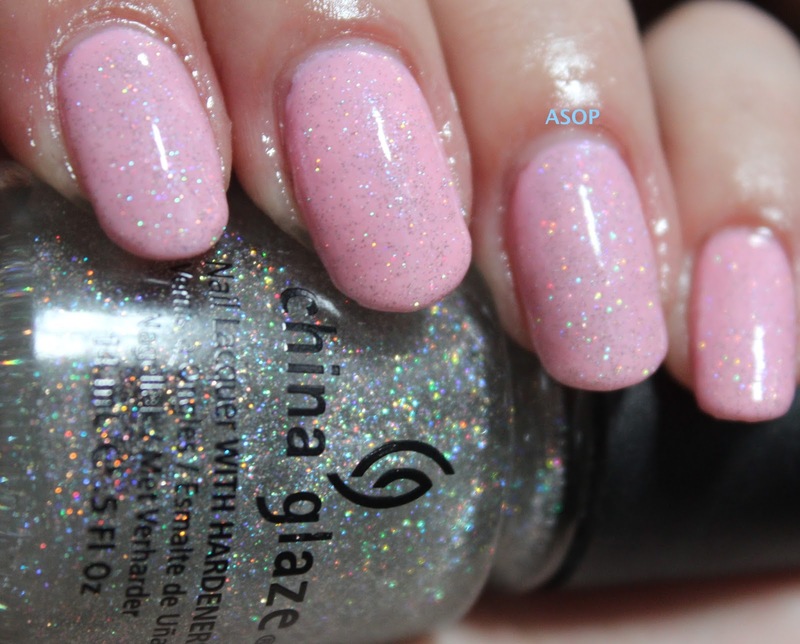 I love this polish, a baby pink with a slight lilac/blue shimmer to it. I applied three coats in order to gain full opacity. 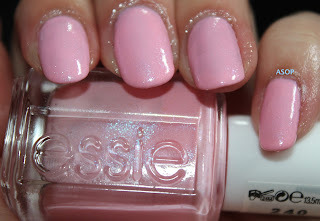 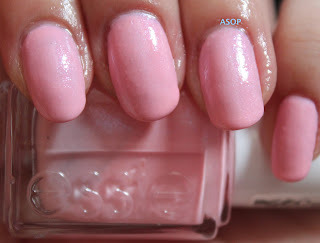 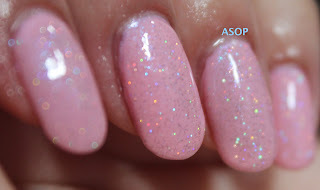 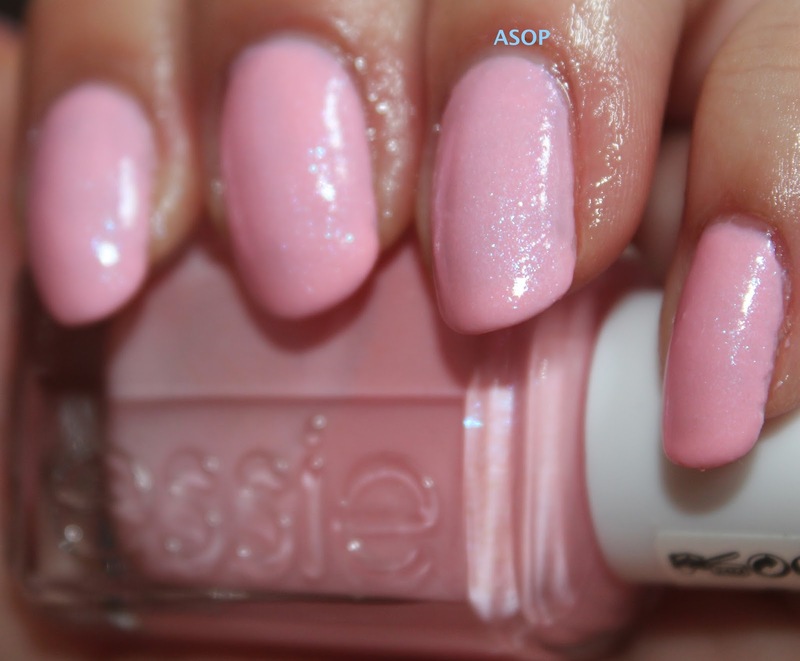 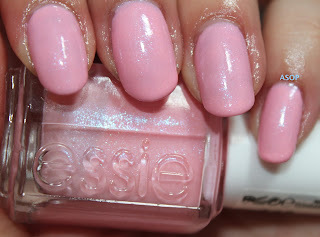 WIIT is from Essie's Breast Cancer Awareness Collection 2012. 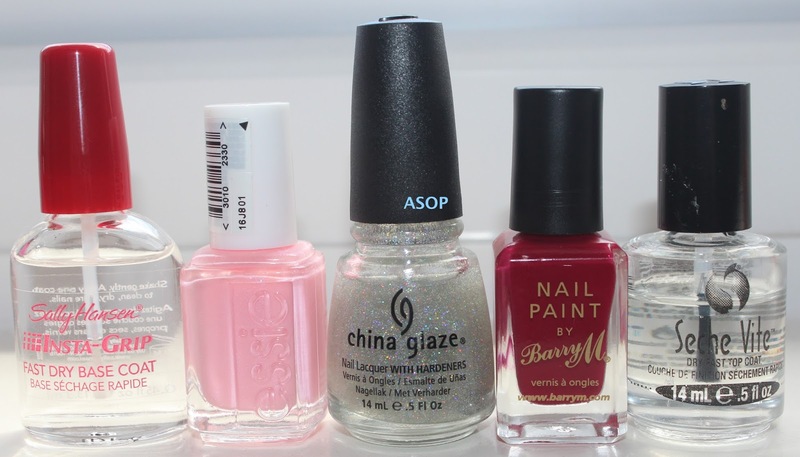 Then I applied China Glaze 'Fairy Dust' which i'm pretty sure is my favourite polish EVER. 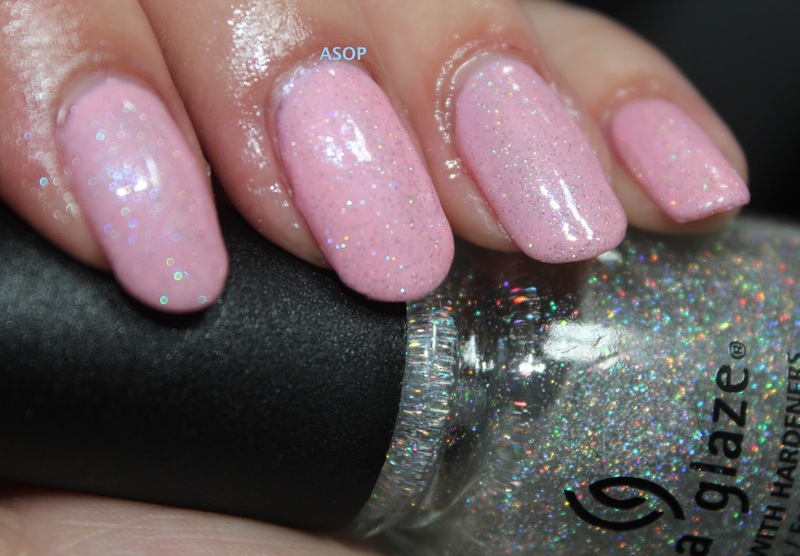 It makes everything sparkle with lovely rainbow glitter. 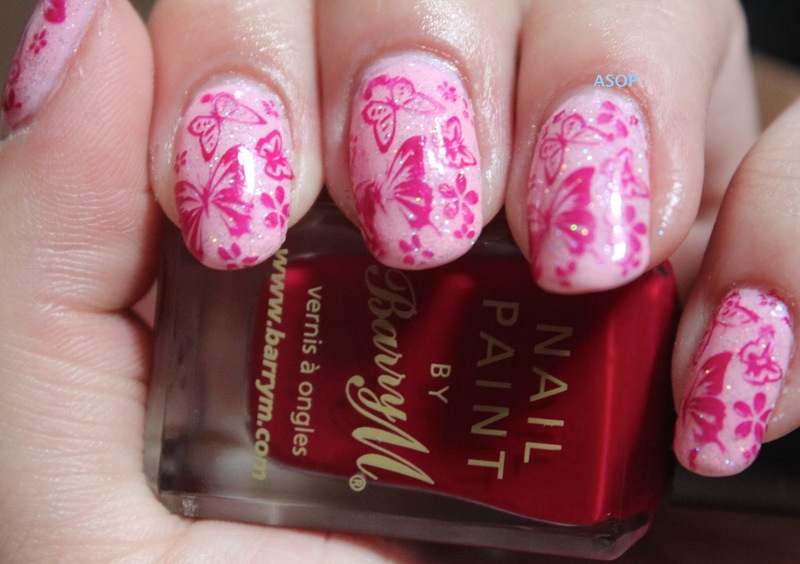 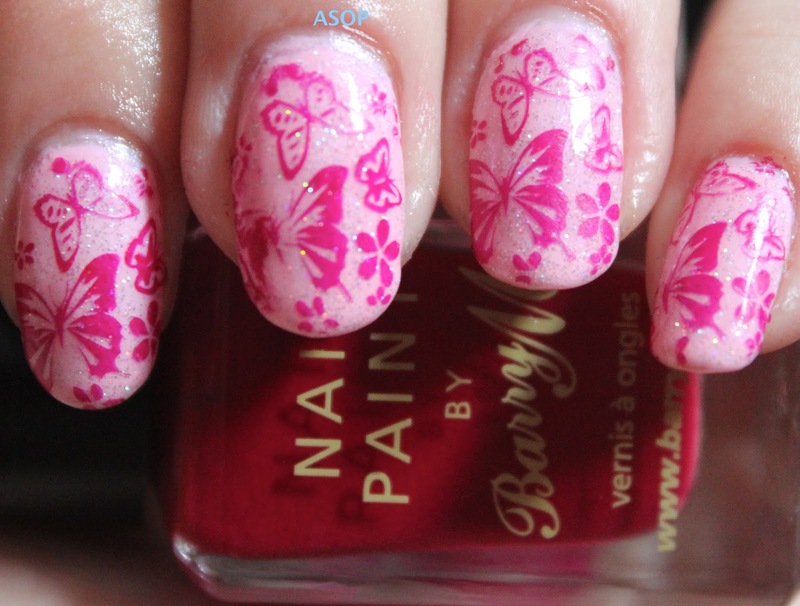 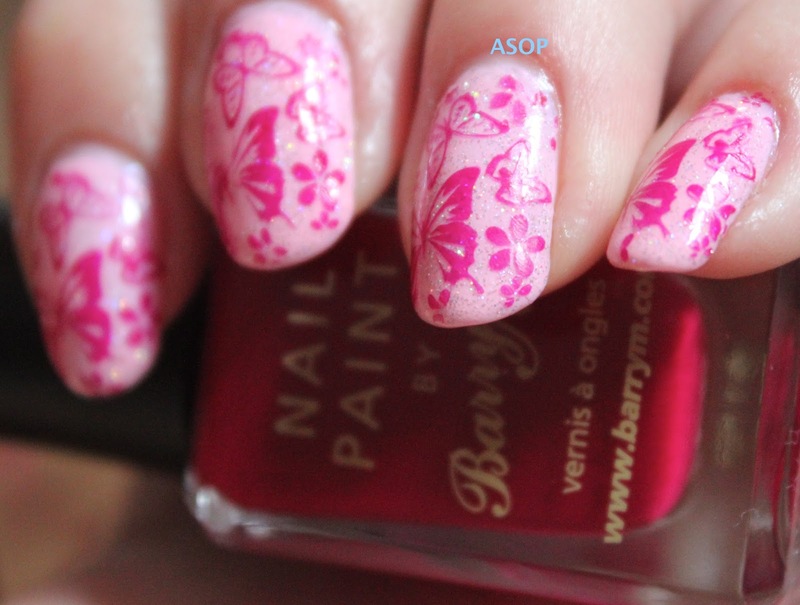 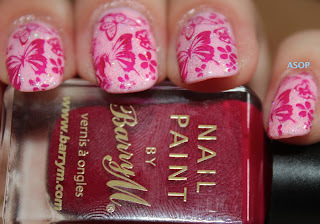 Lastly, I stamped it all with Pueen Plate 34 from the Love Elements collection (£16.89 from Amazon) using Barry M's 'Raspberry'. 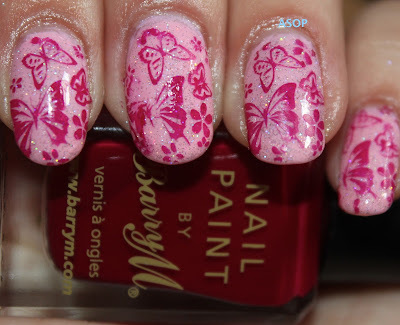 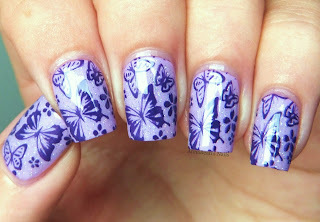 The image stamped pretty well, this was the first attempt as I never re-do my nails due to slightly bad stamping, since i'm WAY too lazy for that :P.
Now you have made them look like a much needed item - I just ordered both sets of stamping plates!